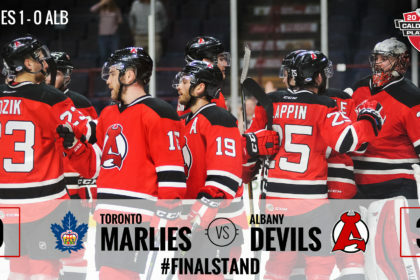 ALBANY, NY – The Albany Devils defeated the Toronto Marlies 3-0 to take Game 1 of the opening round of the Calder Cup Playoffs Thursday at Times Union Center. 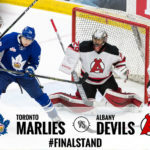 Mackenzie Blackwood was up to the task, making 27 saves to power him to a shutout in his first career postseason appearance. 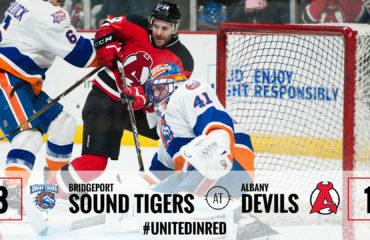 Ben Thomson, John Quenneville, and Brian Gibbons each netted a goal in the victory. 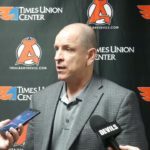 Thomson opened the scoring at 16:22 of the first period. 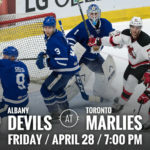 The Devils forward ripped a slap-shot past Toronto goaltender Garret Sparks from just inside the zone off a Seth Helgeson pass to give the Devils a 1-0 lead that lasted through the first period. 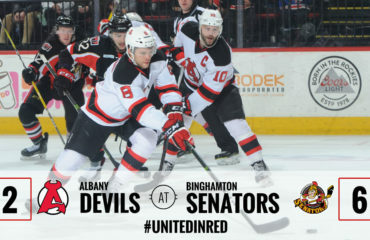 Quenneville made it a 2-0 game when he scored an unassisted power-play goal at 13:03 of the second period. Quenneville created a turnover that lead to a two-on-one where he found the back of the net on a wrister. Gibbons sealed the deal with an empty-net goal at 19:23 of the third period. 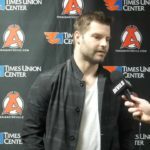 Nick Lappin picked up the lone assist on the play. 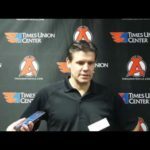 Sparks registered 20 saves on 22 shots for Toronto. 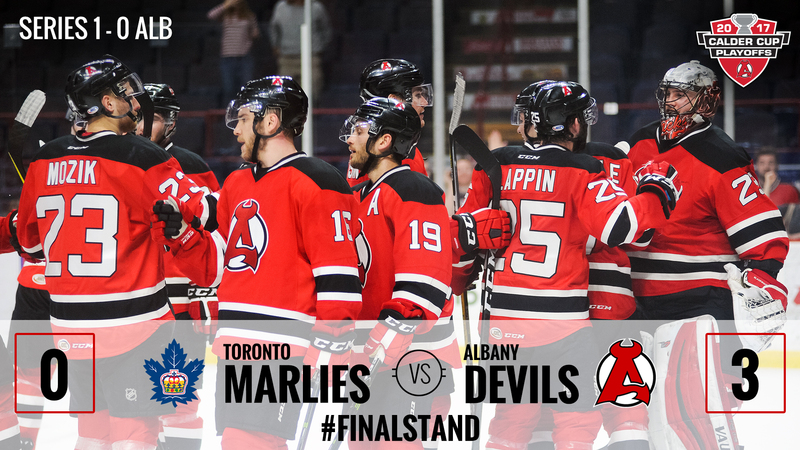 The Devils take on the Marlies Saturday at Times Union Center for Game 2. 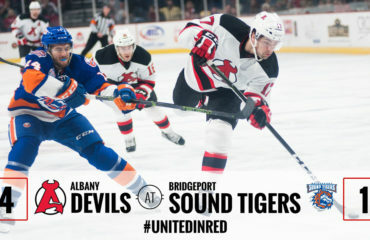 Puck drop is at 5 pm.